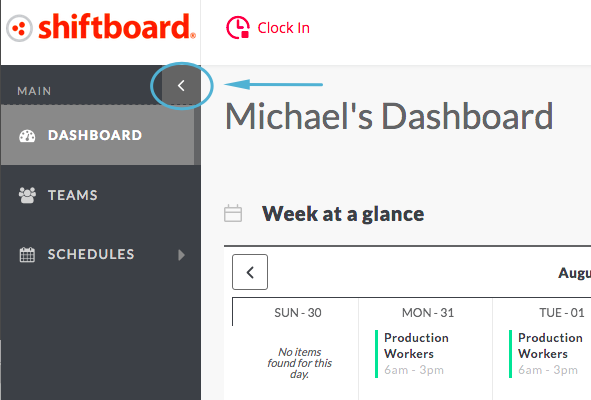 Shiftboard uses top and left navigation bars to give you access to your dashboard, account information, calendar, and more. 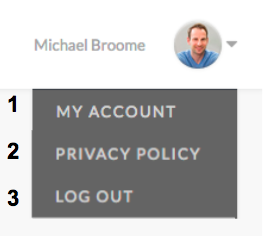 You may have some or all of the menu options shown below depending on how your site is configured. For example, if your site is not set up to use the timeclock functionality, you will not see the timeclock icon. 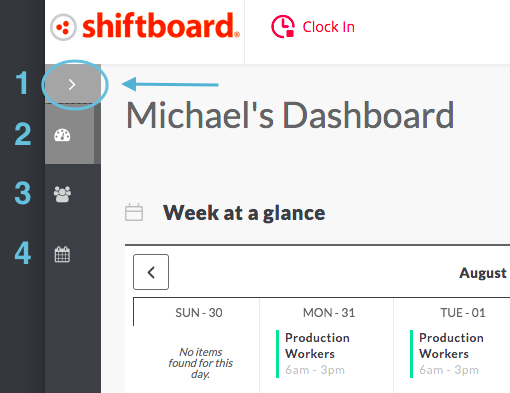 When you log in to Shiftboard, you will be on the Dashboard page, which provides a quick view of shifts assigned to you this week, along with your site news. You can navigate to the full schedule to see additional information about your assigned shifts. 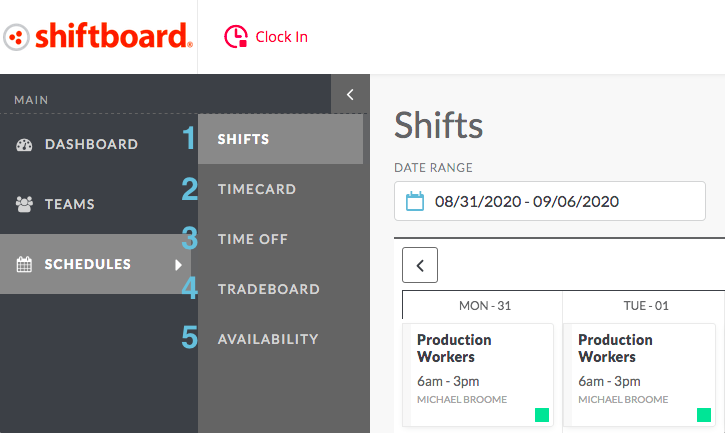 If your site is configured to allow picking up shifts, you will be able to view open shifts on the schedule. See more details on the Dashboard and Schedule pages. The navigation can be viewed expanded to see more information or collapsed to save space. Teams—Opens a page with information about your workgroup(s)/team(s). Note: if your workgroup name is not Team, you will see your workgroup name. Shifts—Displays all shifts for your workgroup(s)/team(s). The default view is determined by a site setting. You can view your shifts based on the week view, the day view, or the staff view. There are also many filtering options to reduce the number of shifts you are viewing. See Viewing the Calendar for details. 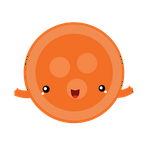 Timecard—Takes you to the Timecard page where you can view timecards. Time off—Allows you to submit a time-off request, and lists your requested and approved time off. Availability—Add to and view your availability.